Stupak has been battling to keep abortion out of government-run healthcare, even threatening CINO Pelosi that he has enough votes to hold it up, and asking Obama to keep his promise and keep it out. Now, Stupak admits that he'll still vote for Obamacare. It seems it was too good to be true. 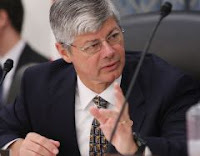 A video released by the Heritage Foundation blog appears to show Democratic Rep. Bart Stupak, whose efforts against the health care bill's abortion expansion had emerged as the pro-life community's primary strategy in the House, admitting that he would ultimately vote for the health bill even with government-funded abortion if it otherwise met his standards.